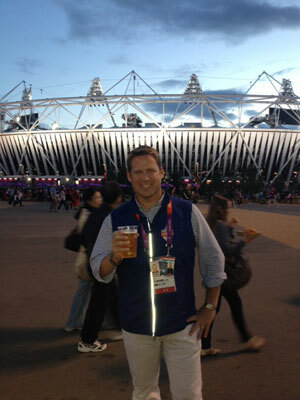 Brett Haber enjoying a hard-earned adult beverage Sunday night in Olympic Park. 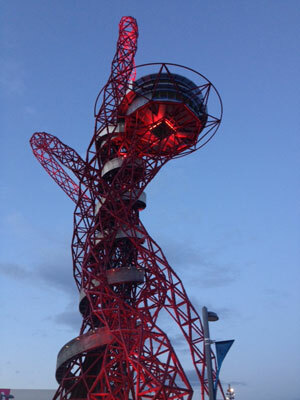 The Orbit tower in Olympic Park. 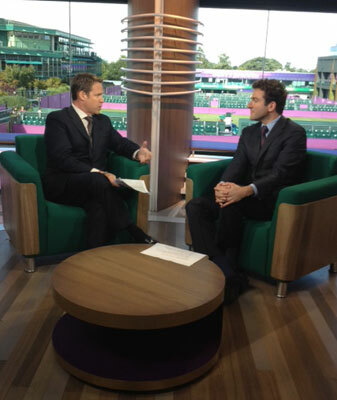 Brett Haber and NBC colleague Justin Gimelstob in the studio at the All England Club. Al Michaels would broadcast from that location on Sunday. 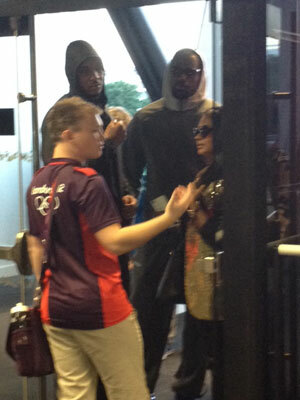 Lebron and Carmelo Anthony getting stopped at the media entrance to Olympic Stadium on Sunday. 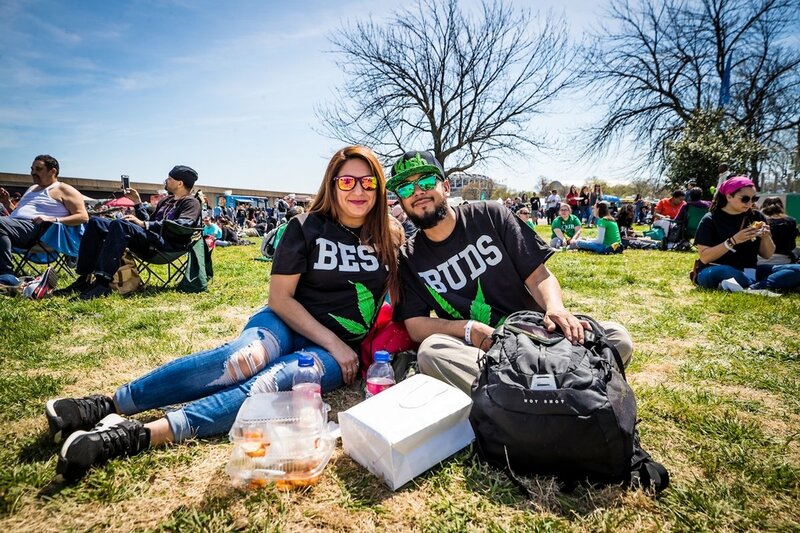 They were there, like many, to see Usain Bolt race in the 100 meter. 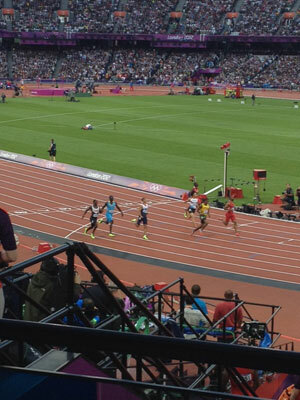 Brett’s view of Bolt winning the 100-meter semifinal. 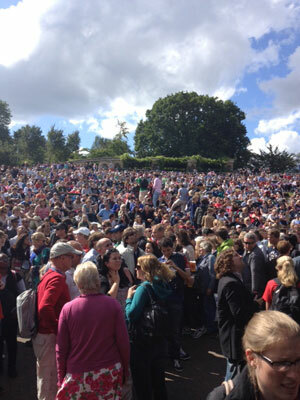 Murray Mound, formerly Henman Hill, was beyond packed for Sunday’s gold-medal match. The tennis racket with a redacted sponsor logo. 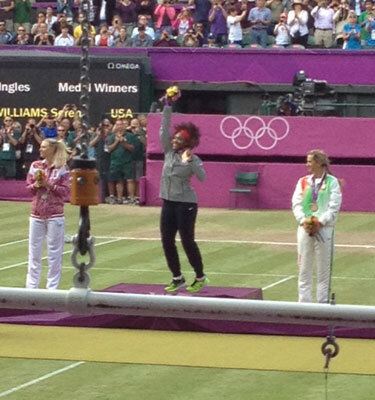 Serena Williams receiving her gold medal, moments before the US flag fell. 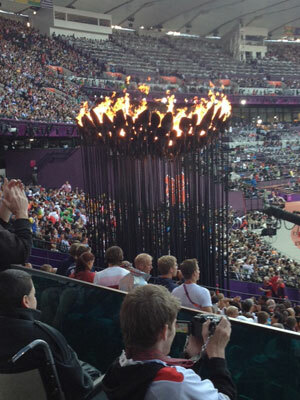 The Olympic Flame, inside the stadium Sunday during track and field.